Bernard Loire: "I'm trying to bring some European-ness to Mitsubishi." Mitsubishi has run its network of private European distributors from Japan for years. 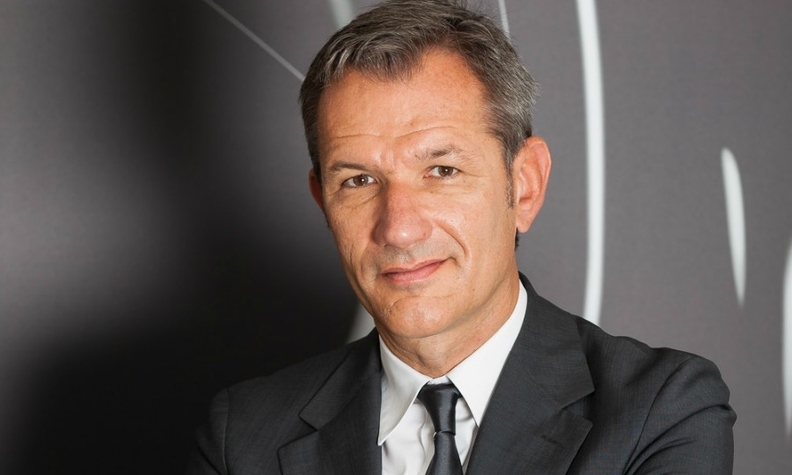 That changes starting this month with a shift to a European organization based in Amsterdam headed by Bernard Loire, a longtime executive with Mitsubishi’s alliance partner, Nissan. Loire, who left Nissan as managing director of its Western Europe region, joins the much smaller manufacturer during a period of growth led by the Outlander plug-in hybrid SUV. He told Automotive News Europe Correspondent Nick Gibbs how he intends to build on that car’s success. Why did Mitsubishi decide to establish sales and marketing operations in Europe? Until now we only had aftersales and logistics operations based in Europe. All car sales and marketing were handled from Tokyo. My mission is to set up a business starting this month. It’s definitely the right time. Why? We are mostly operating with private distributors and we deal with them on a daily basis. It’s much easier when you are in the same time zone. I also think we can be much closer in terms of consumer understanding and marketing programs than when you are in headquarters in Japan. Is Europe profitable for Mitsubishi? We don’t disclose profits per region. It is clear that if we decide to invest in Europe it’s not to lose money, so we need to have additional volumes. Our business is very dependent on volume, but it’s volume and mix. The Outlander has been Europe’s best-selling plug-in hybrid for a number of years. Will it be able to stay on top with so many new arrivals poised to enter the market? I think it will accelerate. Last year we sold nearly 25,000 and for this year we can do at least 35,000 to 40,000. In the last four months [November 2018 through February 2019], it has been our top-selling model. In the Outlander’s best-selling market, the UK, the government has removed plug-in hybrid incentives. Will that harm sales? The UK accounted for a third of our sales last year, and it will be less this year, probably a quarter. But some markets are starting to grow. Germany has new support for company car drivers choosing PHEVs [plug-in hybrid electric vehicles]. We can see demand raising significantly. In France we foresee demand going much higher. Our new homologation in WLTP at 46 grams per kilometer of CO2 means we meet the threshold to qualify for incentives in most markets. Who are your competitors? Plug-in hybrids or regular SUVs? Our immediate competitors are the plug-in hybrids, mainly from premium brands, but we can see a new buyer who is looking for an SUV and switching from a diesel to a plug-in hybrid, bypassing gasoline. CO2 at 46g/km provides a strong reassurance that you can drive a family SUV anywhere in Europe – the mountains, on the highway and in city centers [unlike a growing number of diesels, which are being banned from downtown areas in European cities]. A true go-anywhere vehicle. Is the plug-in hybrid a stop-gap technology for you? We are interested in the technology for the long term. We have said every new Mitsubishi in the future will have an electrified solution. Full-electric is good for small cars and small SUVs. Plug-in hybrids are good for bigger SUVs. When is your next PHEV coming? Can you tell us whether it will be a version of the Eclipse Cross compact SUV? Obviously this is one segment we are looking to provide electrification via a plug-in hybrid. MAIN CHALLENGE: Maintaining Mitsubishi's tight grip on Europe's plug-in hybrid sector as more challengers debut. We have diesels in the Eclipse Cross and ASX [small SUV]. There are still markets where diesel is important. Our mix of diesel was less than 20 percent last year and it will drop further this year. We prefer to concentrate on electrification. How are you leveraging alliance partners Nissan and Renault to bring down costs? I have nothing to share with Renault or Nissan. In pure commercial terms we are competitors. My areas are everything which is visible to the consumer, so we are completely autonomous. But when it comes to sharing everything that’s not visible to the consumer -- platforms, purchasing, technologies -- why not? We are studying this. It’s absolutely on the table. What will be your first vehicle on an alliance platform and when will it come? The next Outlander in 2020. What about local production? Will you get to the volume level needed to restart output in Europe? [Mitsubishi Chief Operating Officer] Trevor Mann said we would have to get to something like 85,000 units for one model before that could happen. When you look at our sales figures, the Outlander PHEV has the potential to grow to 40,000, so we are still far away from that [reaching 85,000]. There is no plan at the moment. What was the biggest difference for you when you moved to Mitsubishi after spending most of your career with Nissan? Mitsubishi and Nissan have a lot in common, but Nissan is a global company which can be European in Europe and American in the U.S., whereas Mitsubishi is a more Japanese company. I’m trying to bring some European-ness to Mitsubishi. It reminds me of when I joined Nissan in 2002 when the operations were being set up, because then Nissan Europe was really taking off. This is quite similar. It’s exciting.